He said it brings in transparency and efficiency, and enables beneficiaries to get their entitlements directly in a convenient and seamless manner. NEW DELHI: Aadhaar registration is required for children availing food under the centrally-sponsored National Nutrition Mission, the Lok Sabha was informed today. 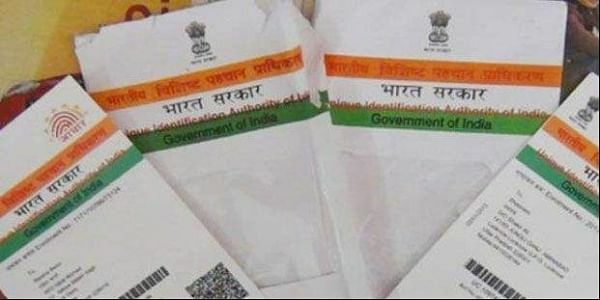 Union Minister of State for Women and Child Development Virendra Kumar said the use of Aadhaar as identity document for delivery of services or benefits or subsidies simplifies the government delivery processes. "Aadhaar obviates the need for producing multiple documents to prove one's identity. Aadhaar would be unique identity of the beneficiaries," he said during Question Hour. The minister, however, said the beneficiaries' not possessing Aadhaar card would be assisted by the field functionaries to obtain Aadhaar. Till such time, they would be provided the Anganwadi services on the basis of alternative identification document, he said. This would help in individual and Aadhaar-based tracking of children for nutritional outcomes and would also aid in area based tracking of under-nutrition status in the country, he said. The government has recently approved the National Nutrition Mission to address the problem of malnutrition in the country at a total cost of Rs 9,046.17 crore for a period of three years from 2017-18 to 2019-20. The salient features of the mission include ensuring convergence with various programmes, incentivising states and union territories for achieving targeted goals, information and communication technology enabled real time monitoring (ICT-RTM) of ICDS, evaluation by NITI Aayog, setting up of national nutrition resource centre at national level and state nutrition resource centre in each state and union territory. Replying to another question, Kumar said there was no survey to identify the fake registration of children in Anganwadi centres.